In today’s advancing world of technology, any user is always looking for the best possible app available. So for a faster and easier way for rooting an android device, “Super Root Android” is considered as the best updated rooting app available. Part 2: How to use Super Root APK to Root Your Android Phone. 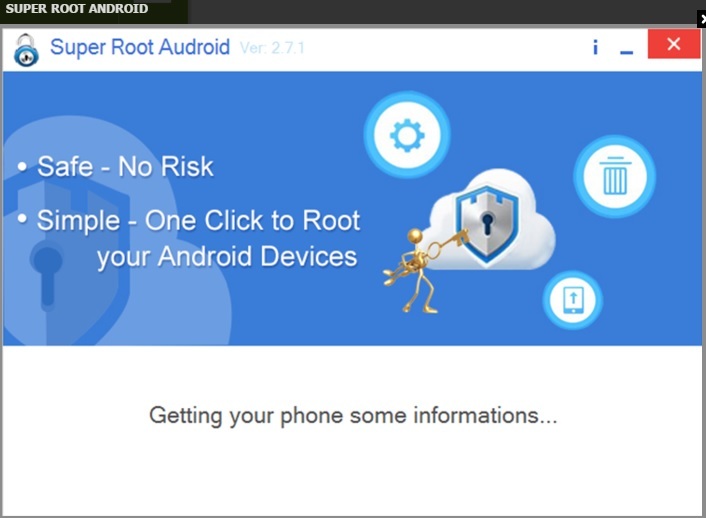 Super Root APK is a rooting app provided free and without any risk for the user. It provides the user an easier and fast way to root any android device very comfortably. 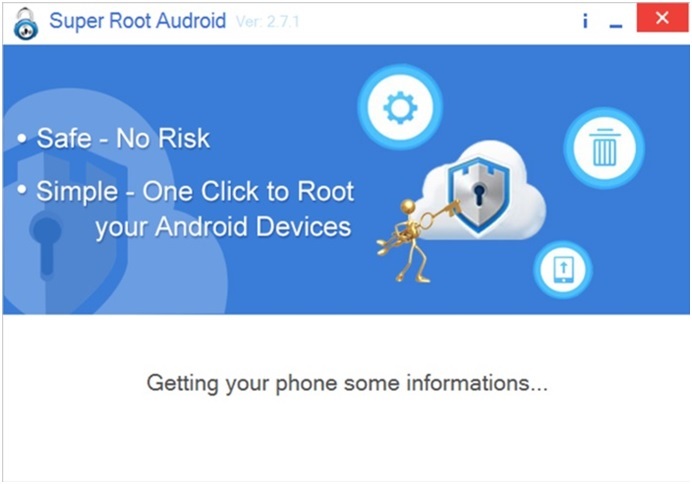 With this software, the users can easily just one-click root an android phone in the safest possible way. After more development and more testing of the software, now it has gained the reputation of many users with positive and successful feedback. The software will help in making first the android device of the user much smarter and eventually make the user a complete master of the Android device. 1. The app will support almost all the available Android models present belonging to different manufacturers such as Samsung, HTC, Nexus, Sony, etc. 2. It will also support the Android versions right from Android 1.5 (The Cupcake), to the latest version Android 5.0 (The Lollipop). 3. The most updated version currently is Version 3.2.0. 4. The app is compatible with Operating Systems of Windows 2000/XP/2003, Windows Vista, Windows 7 and 8. 5. The size of the APK is 11.35MB. 6. The app will provide the user with a better experience on their Android device. 7. The newer version has emphasized and delivered by providing better services to the user on their Android devices. 8. The newer versions support languages of English, Portuguese and Russian. 9. It is branded and a trusted app in the market now with years of development and researching. 10. It is a very safe app for any user to have in their Android Device. 11. Any previous bugs and frequent problems which were detected by the users in their previous version have now been solved in the updated version. 12. This app will also help in increasing the overall performance of the Android mobile of the user by changing and adjusting the CPU Frequency. 13. Battery life can also be increased with the help of this app. 1. Free of any possible threats and risks for the Android device. 2. Very useful for a user who is a beginner to the rooting app or an android device. 3. Complication of any scripts is removed. 4. Instructions for installation and rooting are very easy and convenient. 5. The APK won’t cause any inconvenience to the internal memory of the Android Device. 1. It cannot improve the User Interface (ui) of the Android Device. 2. If the rooting isn’t done with caution or if any wrong step is performed, then the user might find some problems for their android device. 3. During the process of rooting, data loss may also occur. 4. When an Android device has been rooted by the user, automatically the Warranty of the device is killed off. 5. After rooting the device, a number of random reboots can also occur automatically without approval by the user. Step 1: After the user has downloaded the APK setup from the website and after running it, a window will open. The window will ask the user for connecting their device via USB. So the user should ensure doing that. Step 2. Once the device has been connected it will show that the android device has been discovered and now connected for using. Then the window will ask to root the device at the lower bottom right hand side corner of the window. a. The phone should not be disconnected at any moment during the rooting process. b. 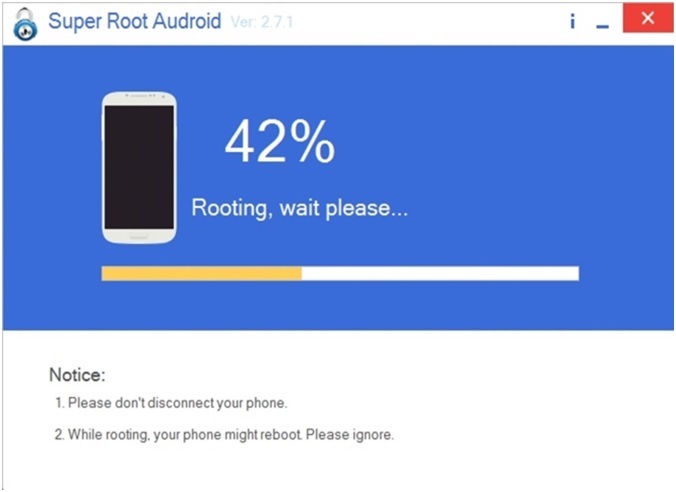 While rooting, the device may automatically reboot at some moment which the user should ignore. Step 4: Before the rebooting is completed, the APK will gather any further additional information which is needed. The rooting is completed and the Android device is now ready. Android Root is software which can also be used for rooting an Android Phone. Unlike the rooting apks, Android Root desktop software has much better compatibility with more than 7000 Android devices. Also, it does not require any technical skills to root your phone. 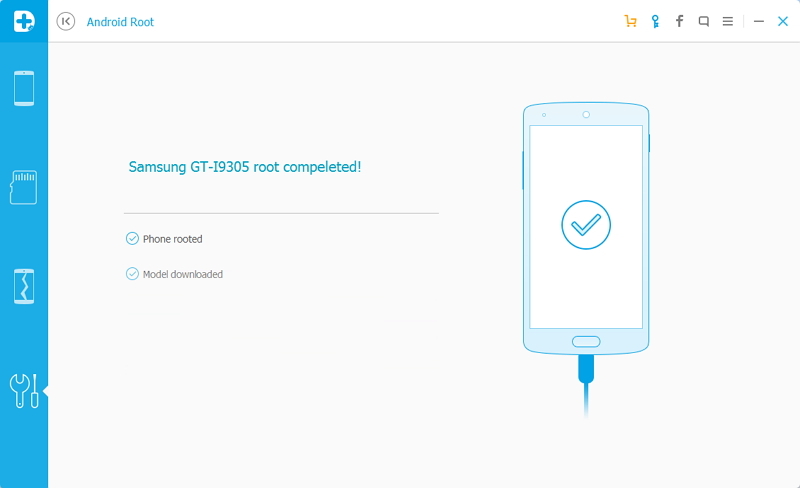 Just connect your phone to the computer and click on Root Now button, the program will do all other jobs for you. You can get your Android phone rooted within a few minutes. 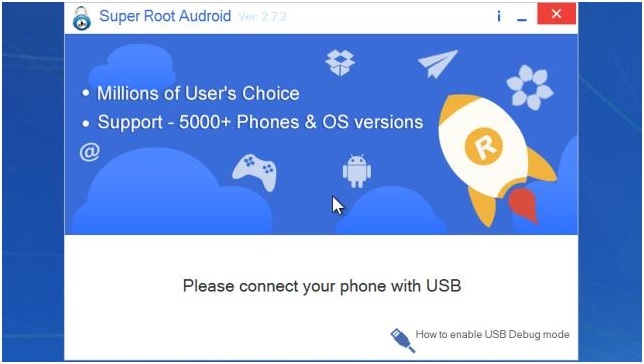 How to use Android Root to root your phone? Step 1: First download Dr. Fone which will provide the option of Android Root along with any other facilities available. Android Root can be found by accessing More Tools in the left column of the screen. 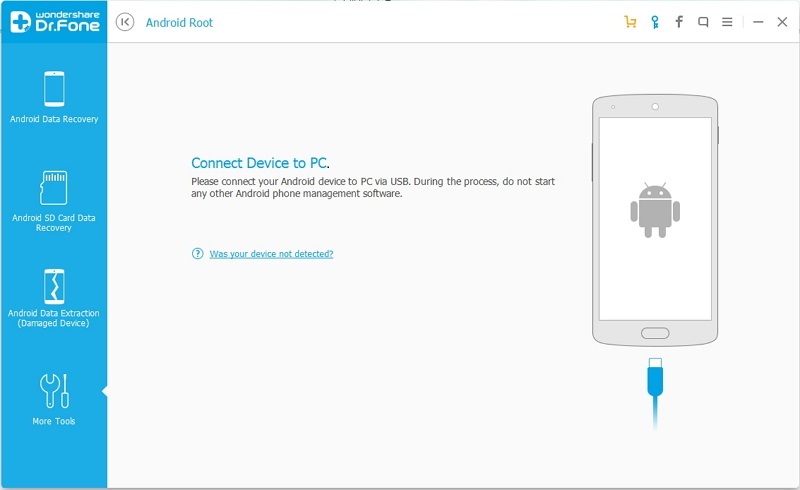 Step 2: Next the user should connect their Android Phone to the PC via the USB cable and the phone will be automatically recognized by Dr. Fone. 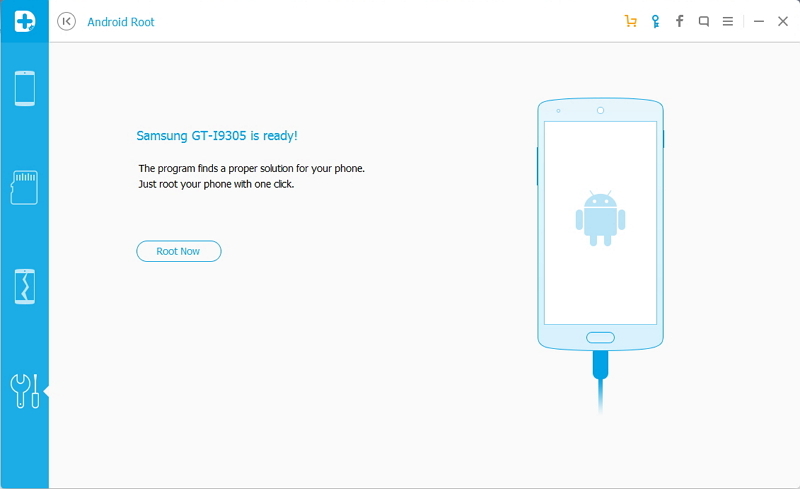 Step 3: On connecting the Android Phone, the user will next have to click “Start” so that the Device can get detected by Android Root. 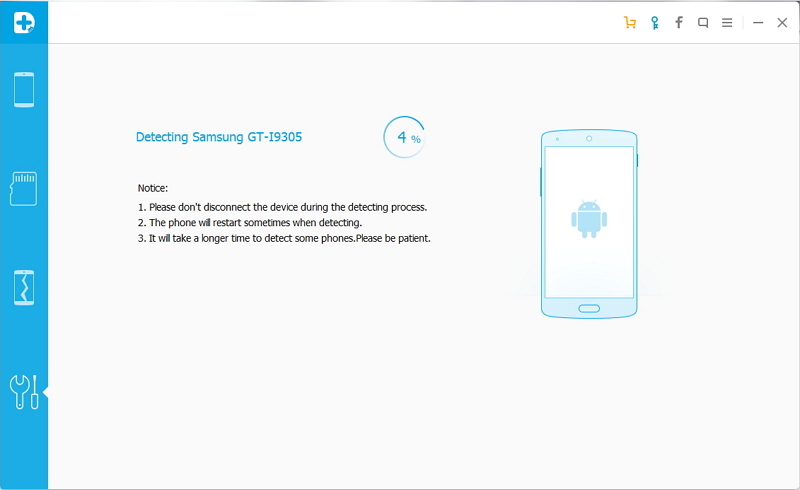 Step 4: It usually would take a few minutes for the Android device to be synchronized and detected by the program. Once it does, then it is ready to use. So the user should click on the “Root Now” option to the root the Android phone with one click. Step 5: While the rooting process is ongoing, a message will pop up asking whether or not the user would like to root their phone. So tap on “Confirm” so that the Rooting can continue. Then just within a few moments the phone will be rooted successfully.